Is PTS available again? I noticed that it's back on the configurator. 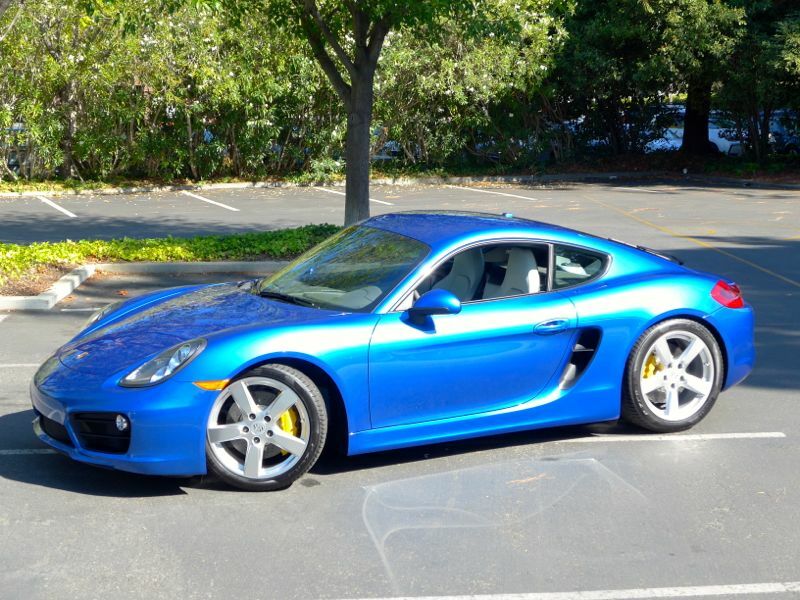 I want to put an order in for a Cayman GTS PTS, but my dealer states its not available. So either my dealer is wrong or the configurator is?!?! Some Rennlisters that have talked to 'Porsche Exclusive' PCNA employees have been told that PTS was cancelled for remainder of MY2015 models on new orders. This information started reaching us at this forum in early November of 2014. Existing PTS orders that had been placed earlier (e.g. summer of 2014) were being honored. So for example, some Canadian customers are getting PTS cars being built in February 2015 on orders that were placed months ago. 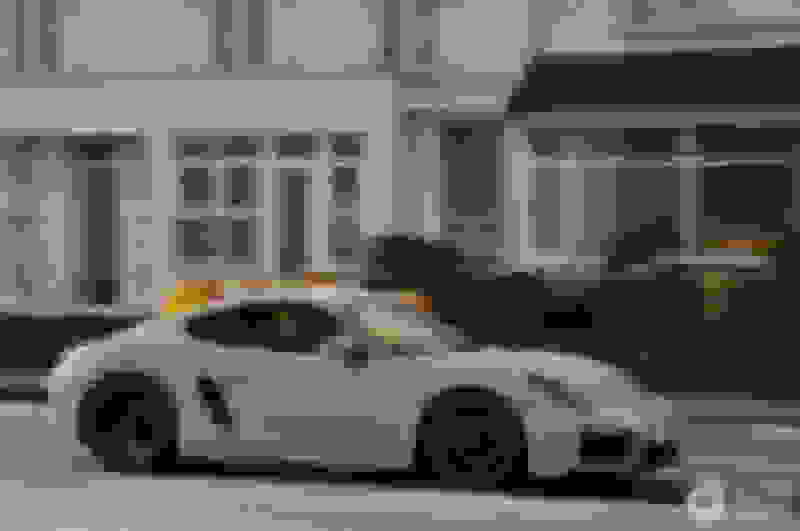 a) Boxster/Cayman/Panamera configurators are wrong and is giving out incorrect information. b) Hanover in Lower Saxony, where the Panamera is welded & painted before being shipped for full assembly at Leipzig, is back on line for PTS. And Karmann Osnabrück, where all the Caymans and some of the Boxsters are built, is back on line for PTS. It was not until MY2015 that Karmann Osnabrück became set up for PTS. So maybe they have perfected the process at that facility and it's now ONLY Zuffenhausen who is effected by the PTS delays for the balance of MY2015. My suggestion is for you to contact 'Porsche Exclusive' in the US (see last attachment) and ask the question ASAP. Don't just give up on it just because your dealer told you so. And please let us all know here at this forum & thread what 'Porsche Exclusive' tells you on the subject! Thanks Eduardo... I just sent them a email. Keep you posted when I get a reply back. The Dealer Configurator Accepted my PTS order... we will see if it sticks. Awesome! Best of luck getting the official approval. Please do keep us posted. I'm out to MY 2016, as I'm waiting for the GT4, but I'll be going for a similar look. I think the PCCB yellow makes a nice contrast to a blue car. At least that's what I tend to say when someone asks about the PCCB. looking forward to seeing your car "in the flesh"
I was told that my PTS order would be a 2016 model year. I was also told that 2016 981 GTS would more than likely be a short model model year due to the 981.2 facelift. I'm in no rush... Rather be patient and get what I want versus compromising. That changes everything. If indeed your order will be filled as a MY2016, then the built will not happen until June of 2015 at the earliest. That still leaves in place the limitation announced by various members of the 'Porsche Exclusive' US operation that PAG would not accept any new PTS orders for the balance of the MY2015 allocations. Did you request a MY2016 or is that what they gave you once you insisted on PTS? - A few months ago PTS was available for the Cayman GTS, but at the time I wasn't able to proceed. - I noticed that PTS disappeared from the online configurator. - About a week ago I noticed PTS was live again on the builder. - I know Porsche keeps the configurator pretty accurate so I inquired with my dealer about availability. - My dealer told me that they received a memo stating that there would be no more PTS cars for the 2015 model year. - I posted the question here to see if anyone knew anymore info. - I read your reply to my post and decided to visit my dealer and talked to a different sales associate (mine is on holiday) and he told me about this same memo. - I told him that it was funny that the online configurator shows that is was available. He checked via his computer and verified it was via Porsche website. - Due to my normal sales associate and Sales manager being off for the Holidays, I decided to wait until their return. - After reading your reply here, I decided to go back to my dealer and submit a deposit and order for PTS. - I emailed my configurator code and scheduled a time to go through everything. - I visited my dealer again and walked through my order on the dealer configurator and there was a specific section to entered in my specifics for my PTS. Thank you very much for dropping off the deposit for your Cayman GTS order today. It was a pleasure seeing you again. I have created the order demand and (sales manager) is aware of it as well. This Cayman will be 2016 model year and you are now in the queue for a paint to sample build slot. I don’t yet know when your car will be built but it will not be until the second half of 2015. As we move forward I will be in touch and let you know as we get further information from Porsche. Again thank you very much for your business. Should you have any additional questions please don’t hesitate to call on me. Best Regards and Happy Holidays"
At this point I just wanted to submit my order as I know the PTS window closes as fast as it opens. I don't know if the configurator is wrong but I find it hard to believe that it is already reflecting the 2016 model year. So either my dealer is wrong, PNCA is wrong, or the Porsche public and dealer specific configurator is wrong. My gut tells me that the configurator is correct though. If I hear more from my dealer or from the SoCal Exclusive Studio I will let you know. Let me know if you hear anything else from your end. If in fact my GTS is a 2016... Does that mean the facelift will be a 2017? Or would the 2016 get the facelift and include the GTS? Do you think PTS was cancelled because of the upcoming facelift 991 and 981? My dealer did state that the 2016 MY would very likely be a short model year what ever that means? I have a suspicion that part of the PTS shutdown for 2015 model years has to do with an increased focus on customization going forward, 2016 MY and beyond. I was at my dealership a week ago and they are in the final stages of a total re-model. There is now an entire station at the rear of the showroom for paint samples, leather, and an area to work with your SA on personalizing a car. This is far beyond the stands that they used to have for this sort of stuff. In talking with the guys that were there it seems they either already have, or will have shortly, further training on the customization process. If Porsche is going to add more focus on selling customization, it makes sense that they would shutdown the PTS for a while to re-tool it for increased capacity to handle what they are hoping will be increased demand. In my mind it makes since to chase this business since it is something that makes a mass produced product a bit more unique, caters to peoples individual tastes, and, most importantly for Porsche, has huge margins. I'm hoping (and expecting) the sport buckets will be available for the GT4. They are not currently available in the configurator for the 911 GTS so that may not bode well for them making the options list for the Cayman GTS for 2016... That said though, I'm certainly no expert! If you are interested in the GT4 you should see what sort of list your dealer already has in place. If it's a smaller dealer, or if there are already a few people ahead of you, I wouldn't give up your GTS. I also think you'd want to consider what exactly you're looking for out of the car. The GT4 Cayman, much like the GT3 911, is likely to be edgier, and sacrifice some creature comforts in the name of performance and weight saving. There are no facts, and no shortage on rumors for what the GT4 will be. That said though, it is supposed to be unveiled at Geneva, which is only 11-12 weeks away. If you live in a state where deposits must be returned if you opt-out, put one down to get on the GT4 list, and leave everything still in place on your GTS. 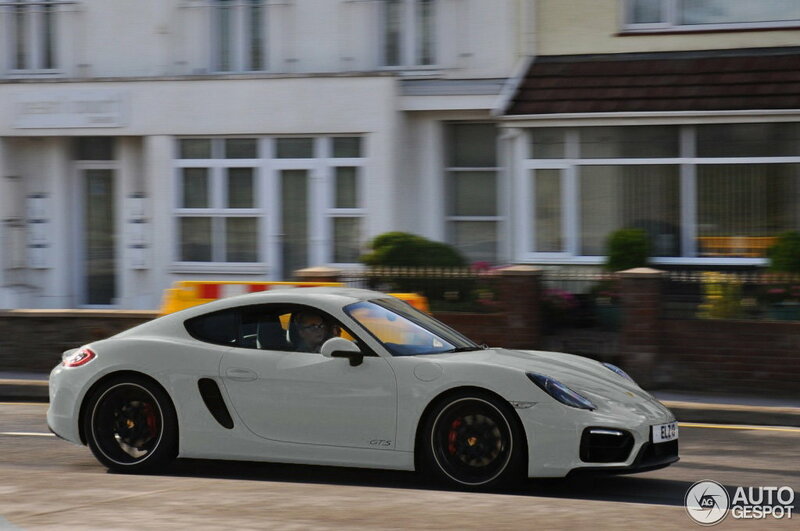 If the GT4 doesn't float your boat, get your deposit back. If the GT4 lives up to the hype, I'd likely still keep the GTS order in the books until you know for sure you'll get a GT4 allocation... One of the rumors is that the production run will be fairly limited... Key word there being "rumor"! If you know you want some flavor of Cayman though, and you can tie up the cash for two different deposits, GT4 and GTS, why not hedge between the two and then follow-through with which ever one ticks the most boxes for what you're looking for? Last edited by nh4; 12-29-2014 at 09:16 AM. Reason: Can't count! If in fact my GTS is a 2016... Does that mean the facelift will be a 2017? Or would the 2016 get the facelift and include the GTS? My dealer did state that the 2016 MY would very likely be a short model year what ever that means? The .1 981 Boxster was introduced in March 2012 (Geneva Auto Show) and sales started in early summer of 2012. The .1 981 Cayman was introduced in 2013, about one year later than the .1 981 Boxster. So their .2 facelifts should happen AFTER the .2 facelift for the 991, which started to be built in the fall of 2011 and is now due for its mid-model modification. If all goes according to historical precedent, the .2 991 facelift will take place by June of 2015 as a MY2016. The Boxster & Cayman will continue as a .1 non-face lift model for MY2016. Both models might be face lifted into the .2 981 in the spring of 2016 as 'early' MY2017 models - that is what they mean by short model year for MY2016. I say that since the VW-owned Karmann plant at Osnabrück, where all Caymans are built and some Boxsters too*, is now well established in the series production of both of these models & it would make sense to facelift them both at same time! Do you think PTS was cancelled because of the upcoming facelift 991 and 981? I don't. I believe they ran into quality control issues and decided to evaluate the program to improve quality, efficiencies...and pricing. I think we might have a better coordinated 'Porsche Exclusive' program going forward, hopefully with more options & choices. But I am afraid it's going to be more expensive for us the customers in MY2016 & beyond! I personally think that US dealers have a big say with PCNA as to whether to add as an option the 'sport bucket seats' to US spec models. US dealers traditionally don't like sport buckets because it makes re-sale difficult. And they want to simplify their sales, not complicate them. If we see 'sport bucket seat' options added to anything other than the gt3's and gt4's for this North American market by PCNA, it would surprise me...in a favorable way. But I am not hopeful. I'm hoping (and expecting) the sport buckets will be available for the GT4. That said though, I'm certainly no expert!-nh4. Have you tried staying more often at a Holiday Inn Express? It could help you get to that next level of expertise! *The Boxster is also built at Zuffenhausen. I appreciate the info. To cover all my bases I also put my name down for both the Cayman GT4(#4) and Boxster GT4/Spyder(#3) ...Since my build will be a 2016 I figure I have more than enough time to make my decision. Word is that first details will be released the first week of February with a March Geneva public debut. Honestly I'm leaning toward the PTS GTS, but that might change once we get more info?!? !